The Gillard government has recently argued that multiculturalism is in Australia’s national interest. Yet multiculturalism remains a contentious political issue. In this context, SBS’s documentary series Immigration Nation. The Secret History of Us is a welcome and timely portrayal of the troubled origins of multicultural Australia. Further documentaries critically enquiring the social fabric of Australia’s multiculturalism would not only promote the government’s new multicultural policy, but also offer an alternative to exclusionary stereotypes on immigration and multiculturalism. In the last few months, several European governments have pronounced multiculturalism a failure. German Chancellor Angela Merkel, British Prime Minister David Cameron and French President Nicolas Sarkozy all stated that state-sponsored cultural pluralism had gone too far and recommended more assimilationist policies. In contrast, the Gillard government openly supports multiculturalism. The Department of Immigration and Citizenship’s 2011 report The People of Australia, which delineates the federal government’s new multicultural policy, argues that ‘Australia’s multicultural composition is at the heart of our national identity and is intrinsic to our history and character’. Thus, ‘[m]ulticulturalism is in Australia’s national interest and speaks to fairness and inclusion’. The interrelations between multiculturalism and inclusion, however, remain controversial in contemporary Australia. The latest findings of the University of Western Sydney’s Challenging Racism project paint a complex picture of Australian attitudes on the issue. Almost 80% of the 12,500 respondents ‘felt secure with people of diverse ethnic origins’. Yet 85% considered that ‘there is racial prejudice in Australia’, and more than 40% believe that ‘Australians from a British background enjoy a privileged position in our society’. The role of multiculturalism in the government’s social inclusion agenda is the topic of the newest parliamentary inquiry of the Joint Standing Committee on Migration. Publicly funded, quality TV programs on Australia’s multicultural history can contribute to the government’s multicultural agenda and help debunk exclusionary stereotypes. 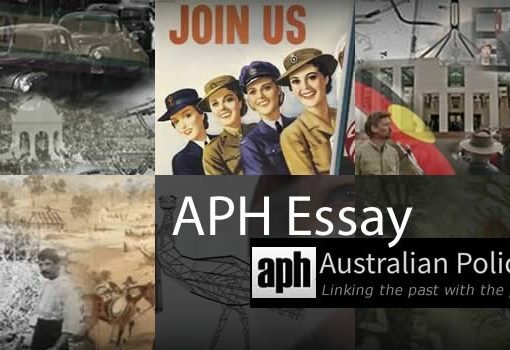 (In a draft review of its funding policy, Screen Australia plans to suppress a line of funding for ABC documentaries on Australian history. This has been deplored by the ABC as well as Alex West, co-producer of Immigration Nation, in submissions to the draft review, which can be viewed at the Screen Australia website.) In this context, the TV documentary series Immigration Nation: The Secret History of Us, which premiered on SBS in January 2011, could not have been more topical. Engaging and innovative, Immigration Nation portrays the White Australia policy as a failed attempt to combine social inclusion with racial exclusion, and multiculturalism as the unintended consequence of this failure. Yet the program neglects the complex social dynamics that contributed to end the White Australia policy, and only briefly addresses contemporary debate on multiculturalism. 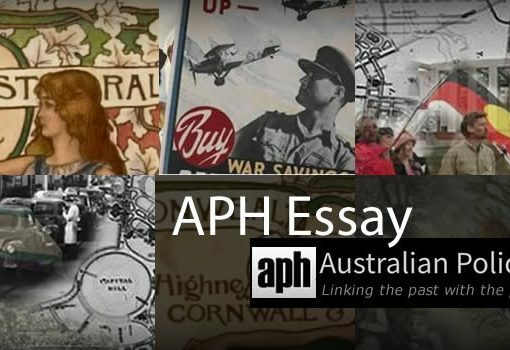 We thus consider that further documentaries critically inquiring the social fabric of multicultural Australia are necessary to emphasise that multiculturalism ‘is in Australia’s national interest and speaks to fairness and inclusion’. Commissioned by SBS, Immigration Nation was directed by Ben Shackleford, written by Alex West and Sara Tiefenbrun, and produced by West, Lucy Maclaren and Jacob Hickey. The series was funded by Screen Australia’s National Documentary Program. Immigration Nation, according to West, is the first major TV documentary feature on Australian immigration history in more than a decade. The program is visually impressive. It includes rare archival footage, precious interviews with immigration bureaucrats and several generations of ‘former migrants’, as well as high-quality academic expertise. Immigration Nation’s interactive website provides additional documentary material and allows viewers to comment on the program and to discuss immigration and multiculturalism more broadly. The creation of the forum proved a popular decision: by early March, hundreds of viewers’ comments had been posted on Immigration Nation’s website. We hope that the engaging style and interactivity of the series will inspire future historical documentaries. The witty page-length advertisement for the program, with its slogan ‘Australia. An Equal Society for All Men. Terms and Conditions Apply’, epitomises the tension between social inclusion and immigration. Australia sold herself to the world as a workers’ paradise – yet, as the ad stipulates in small print, these workers had to be white. This ‘secret history’, we assume, is no novelty to most SBS viewers, yet the Immigration Nation revealed it in new detail. The documentary’s focus on the global ramifications of the White Australia policy is particularly worthy of praise. Immigration Nation convincingly draws on Marilyn Lake’s and Henry Reynolds’ account of the ominous mistreatment of Japanese diplomats by the US, British and above all Australian delegations at the post-WWI Versailles conference. Lake’s and Reynolds’ landmark volume Drawing the Global Colour Line uncovers the transnational dimension of the production of ‘whiteness’ in the British Empire. A wider use of Lake’s and Reynolds’ research could have embedded the social and cultural dimensions of the White Australia policy in global discourses and practices of racial discrimination. Tensions between the political and social agents who made and unmade the White Australia policy do not feature prominently in Immigration Nation. The relations between ‘settled’ Australians and successive waves of newcomers at the workplace, in church, in sport clubs or at the pub barely feature in the narrative. Of all social actors, the absence of unions from the program is most striking, since, we are told in the first episode, the White Australia policy was the flipside of a utopian and egalitarian workers’ paradise. Addressing the inherent tension between workers’ protection and mass immigration would have been revealing, especially in Immigration Nation’s second episode focusing on the elaboration of the post-war planned immigration program. Mass immigration from Europe was not only seen as a rampart against the ‘Yellow Peril’. Australian employers strongly supported the arrival of new workers, yet unions feared for their economic and political bargaining power. An array of measures was developed to ‘sell’ mass immigration to the unions. New immigrants, for instance, had no access to top union jobs. Displaced People (DPs) resettled from European refugee camps in the late 1940s to compensate labour scarcities were, on arrival, denied access to skilled positions at the insistence of unions. Yet DPs were automatically given the right to vote at union elections, because unions were keen to expand their membership. In contrast, DPs had to wait for five years before obtaining the right to vote at state and federal elections. Conflict-laden as it was, the progressive incorporation of European immigrants into social organisations contributed to the demise of the White Australia policy. In many small unions, members predominantly were from non-English speaking backgrounds. These unions developed early policies facilitating integration at the workplace. Beyond social interactions, a focus on dominant political figures is preferred to an analysis of the bureaucratic machinery that is Australia’s immigration program. For instance, Prime Minister Ben Chifley and Immigration Minister Arthur Calwell are presented as the single architects of the massive resettlement of DPs from European camps, whereas the crucial role of civil servants in operating the post-war immigration program is only evoked in the individual accounts of former immigration officers. Their riveting stories are left without extra commentary and felt lost in the narrative, contrary to the dramatisation of the roles of Chifley and Calwell. While the format of the TV documentary necessarily leads to simplifications, the succinct depiction of historical developments is at times misleading. For instance, Immigration Nation’s third episode begins with the presentation of a new generation of Australians eager to question the exclusionary rationale of the White Australia policy in the early 1960s. Student opposition to the policy is portrayed as the consequence of encounters with Asian students allowed to study at Australian universities in the context of the Colombo Plan. Two significant factors of a generational evolution of attitudes towards non-European immigrants – the rebellion of Australian students against their conservative upbringing, and broader civil rights struggles in Australia and elsewhere – are barely mentioned. More generally, the last episode of Immigration Nation suffers from its limited coverage of immigration and multiculturalism since the 1970s. The attacks on multiculturalism, from Geoffrey Blainey’s fear of an ‘Asianisation’ of Australia to the political exploitation of the Tampa crisis by the Howard government, are left out. This deprives the audience of an opportunity to relate Australia’s troubled immigration history with more recent and ongoing controversies. In sum, the program often reduces Australia’s immigration history to a struggle between leading political figures and non-British individual migrants fighting for inclusion in the Australian polity, a struggle eventually won by the latter. Many viewers’ commentaries posted on the Immigration Nation website are critical of the featured dichotomy between migrants and the state; between white Australia and multicultural Australia. Australians of non-British European descent have asked why the discrimination of entire groups of migrants considered as White, such as the Italians, is absent from this narrative. Some viewers of British heritage have been repelled by the identification of the exclusionary Australian state with an exclusionary society. The strong reaction of viewers shows that much remains to be said about the multiple dimensions of Australia’s multicultural history. Addressing the social complexity of historical processes in TV documentaries is a challenging task. 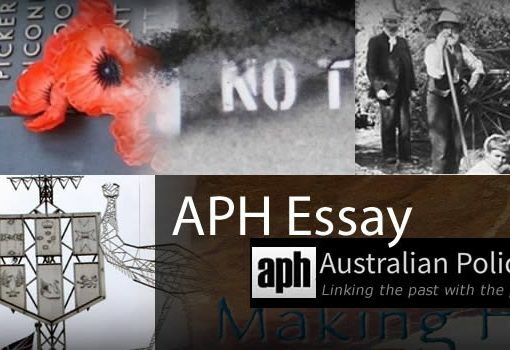 Yet recent documentary features on Australia’s history and society, such as SBS’s First Australians and ABC’s The Making of Modern Australia, have shown that programs designed for a relatively broad audience can combine moving individual stories and the ‘bigger picture’ of Australia’s history. The groundwork laid by Immigration Nation thus can be further developed through documentaries specifically enquiring the various social arenas constituting the dynamic fabric of Australia’s multicultural identity and cultural diversity. Such documentaries could compare, in historical perspective, the experience of recently arrived immigrants at school, at work, at home, in their neighbourhood, with the experience of ‘settled’ Australians. Cultural and economic factors contributing to migrant integration over time could be addressed, too. 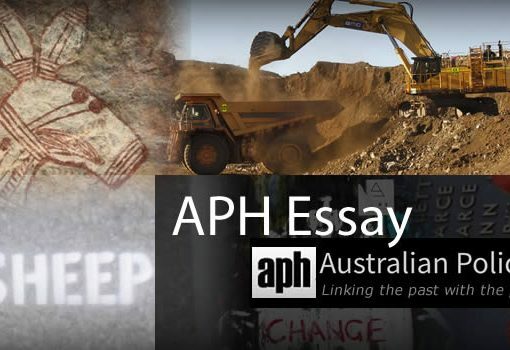 The airing of these documentaries could be followed by debate between the filmmakers, policymakers, academics and the general public, in TV shows such as SBS’s Insight or ABC’s Q&A. Such programs should be an essential aspect of the Gillard government’s multicultural policy, and would help counter the political exploitation of latent fears of the ‘other’ promoted by the likes of shadow Immigration Scott Morrison. Yet we are no advocates of publicly funded, patronising ‘political correctness’. Rather, a focus on the social dynamics of multiculturalism must stress not only the similarities of processes of social inclusion across an ethnically diverse society, but also the significance of social hurdles to which many migrants and ‘settled Australians’ have been confronted in the past and continue to face today. AFP, ‘Multicultural policies need replacing, says Cameron’, Sydney Morning Herald, February 6, 2011, http://www.smh.com.au/world/multicultural-policies-need-replacing-says-cameron-20110205-1ahxo.html. Department of Immigration and Citizenship, The People of Australia; Australia’s Multicultural Policy, Canberra 2011, http://www.immi.gov.au/media/publications/multicultural/pdf_doc/people-of-australia-multicultural-policy-booklet.pdf, p2. Executive Summary of Challenging Racism’s latest findings: http://www.uws.edu.au/__data/assets/pdf_file/0007/173635/NationalLevelFindingsV1.pdf. Website of the Parliament of Australia Joint Standing Committee on Migration: http://www.aph.gov.au/house/committee/mig/multiculturalism/index.htm. Alex West’s audio commentary of the making of Immigration Nation is available on the website of The Australian: http://media.theaustralian.com.au/multimedia/2011/01/05-immigration-nation/index.html. Marilyn Lake and Henry Reynolds, Drawing the Global Colour Line: White Men’s Countries and the International Challenge of Racial Equality. Cambridge, Cambridge University Press 2008. Jock Collins, Immigrant Hands in a Distant Land. Australia’s Post-War Immigration. Leichardt, Pluto Press 1991. Egon Kunz, Displaced persons : Calwell’s New Australians. Sydney, Australian National University Press 1988. Leonore Taylor, ‘Morrison sees votes in anti-Muslim strategy’, Sydney Morning Herald, 17 February 2011, http://www.smh.com.au/national/morrison-sees-votes-in-antimuslim-strategy-20110216-1awmo.html. Citation: Adele Garnier and Mandy Kretzschmar, Contentious Past, Contentious Present? Immigration Nation and the Origins of Australia’s Multiculturalism. Australian Policy and History. March 2011. Hazaras’ Persecution Worsens: Will the New Government Show Leadership by Lifting the Suspension on Afghani Asylum Claims?